In order to have earn more in the field of advertising, Spotify has been searching for more new formats to gain more opportunities. A new format – 3D audiovisual advert, and it is used to release to horror film Ghost stories. A self-service Ad Studio is also included which allows brands to create their adverts within the platform. Audience can be targeted based on their age, gender, location, activity and musical taste. 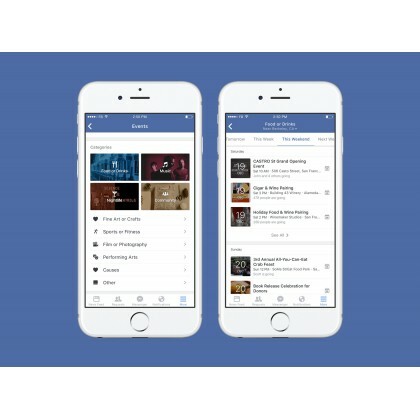 Budget and campaign dates can be set, and Spotify insights can be used to track the campaign’s success.With these new formats, opportunities are created for small advertisers, which can build their own campaigns and do some advertising themselves. When there are more smaller advertisers getting involved in this platform, it may attract big clients and agencies, and they may earn more revenue by simply providing the platform for them to advertise.Also, the data from Spotify, for instance, what songs do male and female like can allow brands to promote according to the customers’ taste. Yet, Spotify says that they cannot share the data out due to privacy problem. 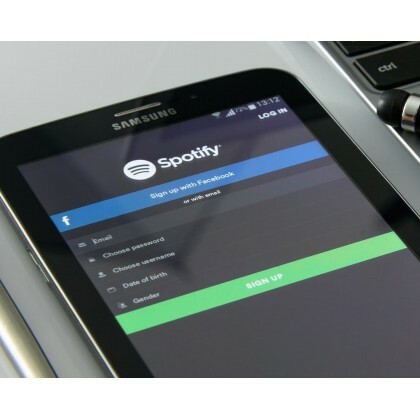 From this, we can see that Spotify has high potential to help marketers to advertise, and also for bra.. Earlier this month, WeChat Pay declared the month of June as the “No-Queueing Month.” Now that the campaign is entering its final week let’s take a look at what it’s all about.During the campaign period (from June 11th to July 5th), shoppers can receive 7.5-10% special discounts if they choose to use the “Scan, Pay & Go” mini-program to check out instead of queuing at the cash registers. 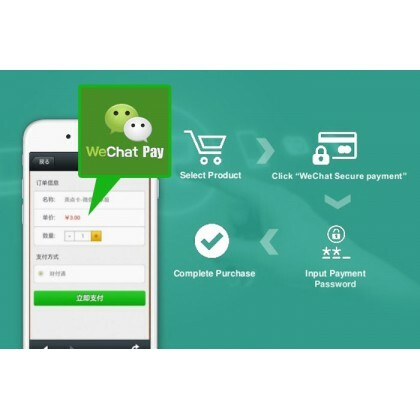 WeChatPay also gives out larger discounts at random that go up to RMB 50. The “Scan, Pay & Go” app allows shoppers to scan the items they would like to purchase and pay within the WeChat app.According to WeChat‘s recent post on social media, over 4000 supermarkets and convenience stores across China are participating in the campaign to encourage WeChat users to go “queue-free.”Walmart is among the many retailers who are participating. According to the WeChat post, “Walmart is partnering exclusively with WeChat Pay as their preferred method of mobile payment in China. At select Walmart locations, shoppers can use the ‘Scan, Pay & Go’ mini program as they shop to scan the barcode on items.”The world’s biggest retailer plans to roll out th..
Apple has announced it will be making efforts to block Facebook’s user tracking tools within the next iteration of its iOS and Mac operating systems.Announced at its WWDC developer conference yesterday (June 4), the tech firm’s software chief, Craig Federighi, said on the social network’s automatic tracking features, “we’re shutting that down”.Those tracking tools in question allude to Facebook’s like buttons, share buttons and comment fields, which when integrated on a publisher’s site - even if not interacted with directly by the user - can be used to track users across the web using a cookie, providing advertisers with a wealth of valuable data on users’ browsing habits.This is available to all other pages with the features integrated; a substantial amount given that the buttons are a requirement for any site wanting to drive traffic from Facebook. When unveiling the new features on Safari - which will request via popup for user permission before allowing Facebook to attach a cookie - Apple’s Federighni made little effort to hide the firm’s disdain for user-tracking techniques. 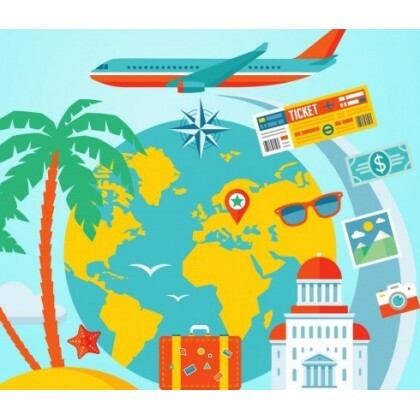 "We've all seen these - these like buttons, and share buttons and these comment fie..
It’s the season for travelling again, time to go out and let yourself have a little rest. Have you tried facing difficulties during your trip, such as not having comfortable sleep on the plane? Bring the wrong socket with you?GiftU – corporate gift customizing expert now proudly presents you 5 travel gift ideas, which allow you and your client to have a pleasant journey.Travel document storage bagThe travel document storage bag can hold up to 4 passports and it can keep the passports of your family members together. There are two zipper and coin compartments, five slots for smartphones and credit cards, and a side pocket for boarding passes. The multi-function travel document storage bag can organize your objects for you without worrying about losing any documents.Ostrich Pillow Go neck pillow Can't sleep on the plane? Ostrich Pillow Go Neck Pillow Designed to provide maximum comfort and support for all neck sizes, it fits your neck and is sure to take a good sleep on the plane. 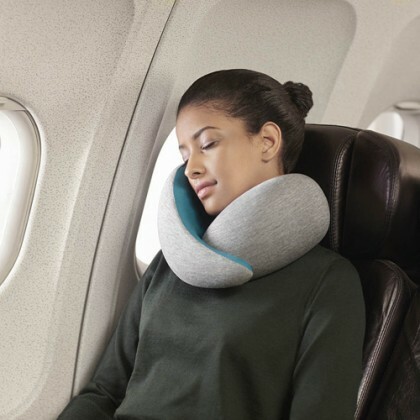 The neck pillow can be folded, its size can be reduced 60% less than the original size. Easy to store and bring with you for your journey.Dual USB Global Adaptor Socket Global adaptor is a must-ha..
People used to have a cup of coffee of tea with them when they go to school or go to work. Yet, have you tried spilling your beverage accidentally? Or do you think your drink is not warm enough? 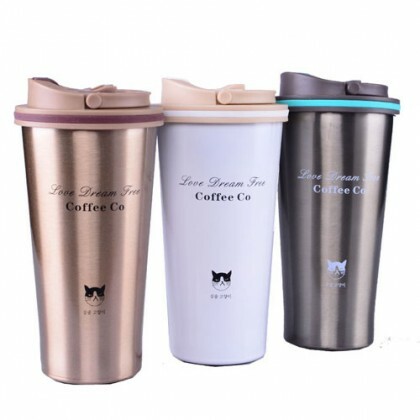 The corporate gift customizing expert -GiftU now introduces you the stainless steelcoffee cup.Stainless steel with double-layer vacuum insulation, can keep your drink warm and also cold.Leak-proof lip with locking flap, prevents leakage. Avoid having your items getting wet. Soft non-slip rubber at the bottom of the cup, can be put on your desk safely. This can avoid having water spills, ensuring your documents dry and safe.One button on the lid to open, easy to use, providing you the best beverage experience. Various colours to choose from, there should one suitable for you.Beautiful, durable and with multiple functions, a suitable option for corporate gift, business gift and promotional gift. www.giftu.com.hk.. Majority of the public are familiar with wireless charging. After the having iPhone X, iPhone 8, iPhone 8 Plus, more brands manufactured wireless charging power banks.Having so many products in the market, which one worth buying? Have you thought of having a wireless charging powerbank with more than one function? GiftU – a corporate gift customization expert now introduces you the GiftU wireless charging notebook, definitely a must-have item for workers and students!You can charge your phone simply by putting the phone on the notebook. Input 5V/1A, output 5V/2A, safe to use.GiftU wireless charging notebook supports most of the device. There are USB, Micro and Lightning cable, convenient for users. With 8000 mAh, enable to charge your phone for the whole day.What is so special about this charger is that it can be used as a notebook. With size 170mm x 231mm x 36mm, allow you to write notes during meeting or lectures. Meanwhile, you can charge your device as well. Definitely a great item to bring with you all the time.With card slots inside the notebook, you can put your cards inside, organize your items well. Since it is lightweight and portable, undoubtedly a perfect necessity for ..
Summer, the best season to have parties. In order to ensure everyone is hyper, how can we neglect music? 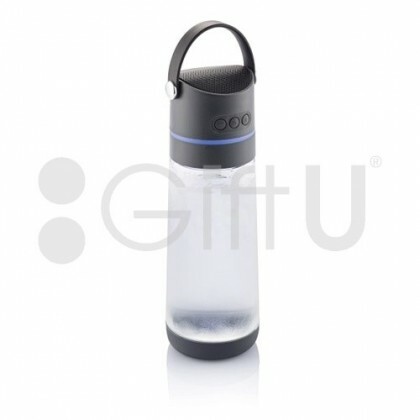 GiftU – an expert in customizing corporate gifts, business gifts, summer promotion gifts as well as outdoor gifts proud to present the GiftU 3-in-1 bluetooth speaker water bottle. This can ensure you and your friends a pleasant night!Upbeat music is forever the most important thing in a party. The Bluetooth speaker water bottle can play music in outdoors, without any cables. Under noisy environment, music can still be heard clearly.What is so special about this water bottle is that there is an in-built LED light. The colour of the light will change according to your mood. Once you are more excited in the party, the LED light may change into different colours more quickly.When you are tired, you can have a sip of water from this bottle. This water bottle can hold both cold and warm beverage, allow you to keep yourself hydrated, having more energy for the party!There are straps attached at the lid. You can hook the bottle on a tree to play music. This summer, give yourself and your clients a perfect party night. Consider the 3-in-1 bluetooth speaker water bottle, it can give ..
Snapchat has launched a new Shoppable AR Lens, which allow advertisers to add a ‘Buy Now’, ‘Watch’, or ‘Install Now’ button. The Shoppable AR (augmented reality) Lenses can be categorized into website, video, install. Most of the brands have chosen the button ‘Buy Now’, and users will then eventually be diverted to the product page. Such lenses increase interactivity between the companies and the users, bring more fun to the users and this is another improvement in marketing innovation industry. There are 4 brands joining the Shoppable ads. 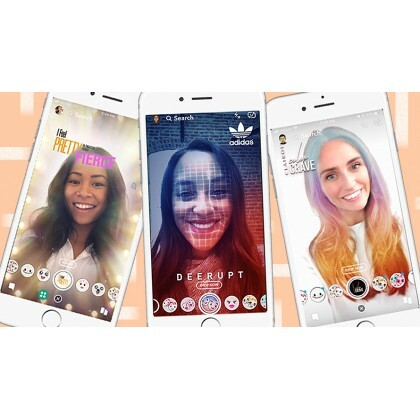 Taking Adidas as example, they have created a Website Shoppable AR Lens of its Deerupt Running Shoes. Once the user clicks buy now, the product page is launched. With such technology, opportunities are given to brands to do further promotion. It may be less likely for customers to purchase the products via Snapchat, yet, when users are using the lenses to send snaps to others, the new product or the brand will then be further spread. Brand promotion is then achieved. 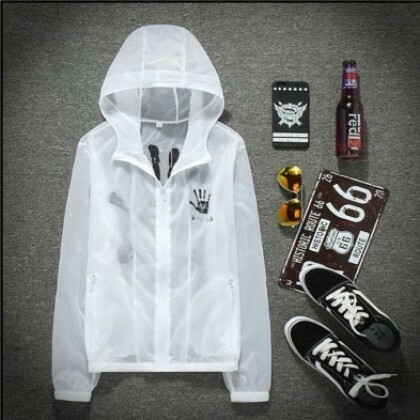 Also, since most of the Snapchat users are aged around 13-35 years old, brands can promote suitable items which aimed at thei..
Summer is coming, and it implies that the rainy season is followed. Although it often rains in summer, people are likely to go out to have fun under the sun.Having bad outdoor experience due to the rain? GiftU foldable jacket can ease your problems.Fabric of the foldable jacket can effectively block strong winds and maintains body temperature. Meanwhile, it is waterproof, it can keep you dry all day long.Every girls are afraid of UV radiation, as they do not want to be tan and get new freckles. The foldable jacket can block UV radiation, providing you a nice outdoor experience while you are hiking, running or camping.Since it is foldable, you do not have to be worried that the jacket is too bulky to carry around. A lot of space is saved after the jacket is folded and you can put more items in your backpack!Convenient and durable to use. Suitable for hiking, running and camping. No matter it is for self-use or used as an outdoor gift, it will be a great option.www.giftu.com.hk..